Katten's Sports and Sports Facilities attorneys provide legal services to a wide array of participants in the sports industry, including MLB, NBA, MLS, NHL, NBADL, ECHL and USHL teams, prospective owners, arena/stadium developers and operators, financial institutions, regional sports networks, government entities, universities, NASCAR-related parties, and corporate sponsors. 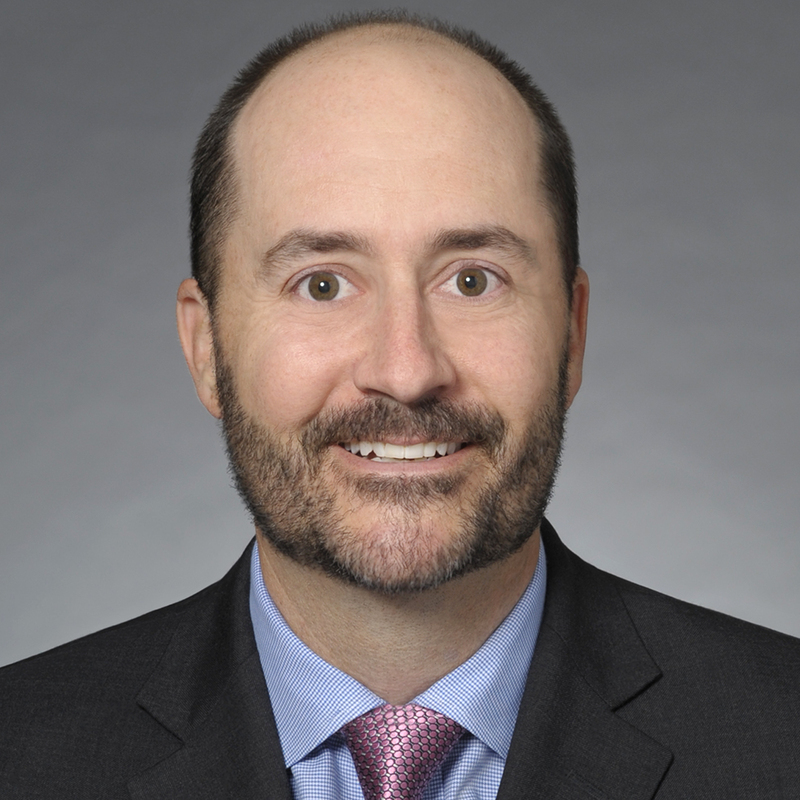 For example, Katten has served as outside general counsel for the Chicago White Sox and Chicago Bulls since their acquisition by Jerry Reinsdorf in the 1980s, and also serves as outside general counsel for the Golden State Warriors, Sacramento Kings, Oakland A's, Philadelphia Union, San Jose Earthquakes and FC Dallas. We counsel clients on all aspects of the business of sports. Our attorneys advise on the purchase and sale of sports franchises, debt and equity financings, television and radio broadcast agreements, sponsorship agreements, naming rights deals, compliance with league rules and developments in league policies, intellectual property and Internet issues, and all aspects of arena/stadium construction, financing and operations—such as ticketing arrangements, concession deals, event agreements and suite licenses. We represent franchises (and, in certain instances, their players) in litigation and related investigative matters, including civil and criminal matters, internal investigations into patterns and practices, and player/agent arbitrations. Representation of the purchaser in acquiring the new NHL team in Seattle, including negotiating and documenting the expansion agreement, the equity financing, the debt financing and various agreements related to the development and financing of the arena that is being renovated and will serve as the team's new venue, including the arena joint venture and team lease agreement, as well as the NHL's approval of the transactions. Representation of the Milwaukee Bucks in connection with entering into various agreements with the Wisconsin Center District, City of Milwaukee, County of Milwaukee and Goldman Sachs related to the design, construction, development, financing, use, operation and management of the team's new arena (Fiserv Forum), parking facilities and practice facility, as well as obtaining NBA approval of the arena project and arena construction loan. Also represent the team in connection with sponsorship agreements (including naming rights agreements for the arena and practice facility) and acquisition of Gatorade League (formerly known as NBA Development League) team (Wisconsin Herd) and the arena in its concession agreements. Represented the Bucks in connection with new rights agreement for the broadcast of its games on Fox Sports Wisconsin. Representation of the purchaser of a majority interest in D.C. United and the operating rights to Audi Field, including negotiating and documenting the equity financing, debt financing, acquisition and MLS approval. Representation of the Atlanta Hawks, Miami Heat, Oklahoma City Thunder and San Antonio Spurs in connection with negotiating, documenting and obtaining NBA approval for new rights agreements for the broadcast of the teams' games by Fox Sports on SportSouth, Sun Sports, Fox Sports Oklahoma and Fox Sports Southwest. Representation of the Miami Heat with respect to sponsorship agreements. Representation of the purchaser in acquiring a significant minority interest, and then a controlling interest, in the New York Islanders. This representation included negotiating and documenting the acquisition and the joint venture with the seller as well as the lenders' and NHL's approval of the transaction. Also represent the controlling ownership group and the team in correction with equity and debt transactions, respectively. Representation of the Philadelphia Phillies in connection with negotiating, documenting and obtaining MLB approval for a long-term rights agreement for the broadcast of the team's games by the regional sports network Comcast SportsNet Philadelphia (CSNP), a short-term rights agreement for the broadcast of the team's games by an over-the-air station controlled by NBCUniversal, a new long-term sponsorship agreement with Comcast and agreements related to an ownership stake in CSNP. Representation of the purchaser in acquiring the Sacramento Kings, including negotiating and documenting the acquisition, the equity structure, the debt financing extension and the NBA's approval of the transaction (as well as the NBA's approval to keep the team in Sacramento and, therefore, rejection of relocation of the team to Seattle proposed by a competing bidder). Representation of the Kings in connection with new head coach's and other basketball and non-basketball operations personnel's employment agreements. Represented the Kings in connection with the new long-term rights agreement for the broadcast of its games on Comcast SportsNet California. Represent the team and its affiliates in various debt financing transactions, sponsorship agreements and suite licenses. Represent the team in connection with its new arena (Golden 1 Center) and mixed-used development activities, including negotiating and documenting land acquisition, arena and tower construction loans, various agreements with the City of Sacramento and others related to the design, construction, development, financing, use, operation and management of the new arena, and NBA approval of the arena project, as well as the arena's naming rights agreement and concessions agreement and refinancing the bonds related to the team's former home arena. Represented the team in the acquisition of an expansion Gatorade League team (Reno Bighorns). Representation of note purchasers in refinancing of stadium construction loan for Levi's Stadium (home of the San Francisco 49ers). Representation of note purchasers in refinancing of stadium construction loan for Banc of California Stadium (home of Los Angeles FC). Representation of the lead investor in the New York Mets in connection with negotiating, documenting and obtaining MLB and bank approval of equity financing and related equity transactions. Representation of the Boston Celtics in connection with negotiating, documenting and obtaining NBA approval for a new long-term rights agreement for the broadcast of the team’s games by the regional sports network Comcast SportsNet New England (CSNE), an extension to a sponsorship agreement with Comcast Cable and agreements related to an ownership stake in CSNE. Representation of the Detroit Pistons and Palace of Auburn Hills in connection with the sale of the team and the arena, including negotiating and documenting the sale, retained equity, indebtedness and NBA approval of the transaction. Represent sellers in post-closing matters. Representation of the purchaser in acquiring the Golden State Warriors, including negotiating and documenting the acquisition, the equity structure, the bank financing, and the NBA's approval of the transaction. Represent the Warriors in connection with the new long-term rights agreement for the broadcast of its games on Comcast SportsNet Bay Area, new head coach's and other basketball and non-basketball operations personnel's employment agreements, participation in NBA's League-Wide Credit Facility, refinancing of acquisition debt financing and raising equity. Represented the team in the acquisition of Gatorade League's Dakota Wizards and its relocation to Santa Cruz. Represent the team in its major sponsorship deals and new arena (Chase Center) and mixed-use development activities, including the new arena's naming rights agreement, concessions agreement, land acquisition financing, construction loan, team use agreement and arena membership program, NBA approval of the arena project and the team's joint venture with Uber and Alexandria Real Estate Equities for the development of two office towers. Representation of the purchaser in acquiring the Oakland Athletics, including negotiating and documenting the acquisition, the equity structure, the bank financing and MLB's approval of the transaction. Represented the As in connection with participating in MLB's League-Wide Credit Facility, refinancing its bank credit facility and a new radio broadcast agreement. Represented the As in connection with the new long-term rights agreement for the broadcast of its games on Comcast SportsNet California. Represent the As in connection with issues related to proposed new home stadium, a change in control transaction (including documenting the transaction and obtaining MLB approval), other capital structure issues, mixed-use development activities and executive employment agreements. Representation of the owners of the St. Louis Blues and the Savvis Center in connection with various day-to-day business matters and the sale of the team and operating rights to the arena, including negotiating and documenting the sale, the redemption of bonds used to finance the construction of the arena, and the NHL's approval of the transaction. Representation of the White Sox in the naming rights deals with U.S. Cellular and Guaranteed Rate for the team's home stadium in Chicago and its radio broadcast agreements. Represented the White Sox, and worked closely with counsel for the Los Angeles Dodgers, in connection with negotiating and drafting documents related to the development and use of the new two-team spring training facility built by the City of Glendale, Arizona. Represented the White Sox in connection with early termination of its spring training deal with Pima County in order to start playing at the new Glendale facility in 2009. Represented the White Sox in connection with financing provided to a minor league affiliate and extension of concessions and novelties agreements. Represent the team in its major sponsorship deals. Representation of Time Warner Cable in connection with negotiating and documenting long-term rights agreements for the broadcast of the Los Angeles Lakers and Los Angeles Galaxy games on new English and Spanish regional sports networks that were launched in October 2012. Represent Time Warner Cable in connection with negotiating and documenting rights agreements with other sports teams and college conferences. Representation of the Chicago Bulls, Chicago Blackhawks and United Center in their major sponsorship deals, including extension of naming rights, telecommunications, beer and credit card sponsorship deals, and the Bulls' new jersey sponsorship. Represented the Bulls in connection with its radio broadcast agreements. Represented the Bulls in connection with its participation in the NBA's League-Wide Credit Facility, new head coach's employment agreement, acquisition of an expansion Gatorade League team (Windy City Bulls) and entering into a lease for its home venue. Representation of the Atlanta Hawks with respect to arena matters, including the debt financing for the renovation of State Farm Arena. Representation of the Chicago Fire in connection with jersey sponsorship agreement, gift card agreement and other sponsorship agreements, as well as various deals regarding its former star player, Cuauhtémoc Blanco. Represented the Fire in connection with its television broadcast agreement, collaboration agreement with an international soccer team and head coach's agreement. Represented Toyota Park in connection with event, suite and club seat license agreements. Representation of the ownership that acquired the operating rights for the then-new MLS expansion team in Philadelphia, the Philadelphia Union, including negotiating and documenting the expansion agreement with MLS and the purchaser's equity structure. Represented the Union and Talen Energy Stadium in connection with their first founding sponsor agreements, naming rights agreement, jersey sponsorship, television broadcast agreement and youth development agreement. Represented the team and stadium in connection with debt financing transaction with Comcast Spectacor and entering into stadium management, event booking, concessions and ticketing agreements with Comcast affiliates. Represented the team in connection with stadium issues, acquiring a USL team (Harrisburg City Islanders), and the new head coach's and other soccer and non-soccer operations personnel's employment agreements. Represent the team with respect to raising capital, bank debt financing and acquisition of training facility and related land. Representation of the Chicago White Sox and Chicago Bulls, and worked closely with counsel for the Chicago Blackhawks and Chicago Cubs, in connection with the formation of a regional cable sports network with Comcast Corporation. The teams are owners of, and licensors of games to, the network (NBC Sports Chicago), which began broadcasting in the fall of 2004. Also represented the White Sox and Bulls in connection with their over-the-air television agreements with WGN. Represent the White Sox, Bulls and Blackhawks in connection with their new broadcast rights agreements and regional sports network joint venture that will commence in fall of 2019. Representation of Silver Chalice, a digital sports and entertainment media company, in its formation, its significant deals, including establishing The ACC Digital Network (with Raycom), Campus Insider (with IMG College) and 120 Sports (with MLBAM, the NHL, Campus Insider and Time, Inc. and including deals with the NBA and NASCAR), and its joint venture with Sinclair Broadcasting (Stadium), including financing and distribution transactions. Representation of a minority owner in the sale of its interest in the Memphis Grizzlies. Representation of the purchaser in raising equity to acquire the Swansea City A.F.C. (the Swans) Premier League soccer team. Representation of the Big Ten Conference in connection with negotiating and documenting an employment agreement with the conference’s commissioner. Representation of the owners of the operating rights to the San Jose Earthquakes MLS team in connection with documenting their rights and obligations as a new MLS expansion team and entering into a television broadcast agreement. Represented the team with respect to revising its capital structure. Represent the team in connection with the development and operation of its new stadium, capital structure issues and executive employment agreements. Representation of FC Dallas in a joint venture with US Soccer to finance and operate a new National Soccer Hall of Fame and Museum at the team's stadium. Representation of JPMorgan Chase Bank in connection with providing debt financing for several NBA teams. Representation of BMO Harris Bank in connection with providing a credit facility to a league. Representation of iStar Financial in connection with providing debt financing for construction of a new stadium for the Real Salt Lake MLS team. Representation of lender in connection with providing debt financing to a Serie A Italian soccer team. Representation of a minority investor in the Pittsburgh Penguins. Representation of the purchaser of a controlling interest in the Orange County Blues USL soccer team, which included negotiating the purchase agreement, joint venture agreement and USL franchise agreement. Represent the team in connection with its affiliation with the LAFC MLS team and stadium lease. Representation of Citibank in connection with serving as an advisor to an NHL team and entering into a relationship with the league. Represented Citibank as financial advisor to an NBA team. Representation of LaSalle Bank NA in connection with its participation in the bank debt syndicate for the financing of the Cleveland Cavaliers. Representation of an NHL team in connection with potential debt and equity financing transactions. Representation of Comcast in connection with negotiating and documenting a rights agreement for the broadcast of games of the San Jose Sharks. Representation of IFG, the manager of the Stockton Arena, in connection with an arena management agreement, team leases, ticketing agreement, concessions agreement, suite licenses, sponsorship agreements and arena use agreements for events. Representation of Sportsco International, LP, the owner and foodservice provider of the Skydome, in connection with the formation of a joint venture with Levy Restaurants and Compass Group Canada for suite catering. Representation of various clients in the construction and financing of the United Center (Chicago), U.S. Cellular Field (Chicago), Miller Park (Milwaukee), BI-LO Center (Greenville, South Carolina), Rose Garden (Portland, Oregon) and Verizon Wireless Arena (Manchester, New Hampshire). Representation of majority owners of the Texas Rangers in securing equity and bank financing for the acquisition of the Texas Rangers from prior owners and the acquisition (and the financing thereof) of parking lots surrounding the team's Ballpark in Arlington, Texas, and various owners of the team in purchases and sales of equity interests in team, along with securing MLB consent for such transfers. Representation of the Texas Rangers in joint venture with real estate developer to provide for multi-phase retail development surrounding the team's ballpark, including the proposed development of the Texas Live! entertainment center and adjacent Convention Center Hotel. Representation of founding member of MLS in negotiating governance documents for the League and subsequent governance documents for Soccer United Marketing (independent marketing arm of MLS) and in numerous changes to governance documents to facilitate the addition of expansion franchises. Representation of owners of Columbus Crew in equity financing to construct first soccer-specific stadium in the United States and sale of MLS team and stadium. Representation of owners of Kansas City Wizards in sale of MLS team. Representation of owners in acquiring Missouri Mavericks ECHL team. Representation of a party interested in acquiring a significant stake in the Minnesota Timberwolves. Representation of a bidder for the Atlanta Hawks. Representation of a bidder for the Los Angeles Clippers. Representation of a bidder for the Milwaukee Bucks. Representation of a bidder for the San Diego Padres. Representation of a bidder for the Los Angeles Dodgers. Representation of bidders for the Miami Marlins. Representation of a party interested in buying an NHL team and constructing a new arena. Representation of a party interested in buying an NBA team and constructing a new arena. Representation of a bidder to purchase the Phoenix Coyotes out of bankruptcy. Representation of a bidder for the Texas Rangers. Representation of a bidder for the Chicago Cubs. Representation of a bidder for the Pittsburgh Penguins. Representation of several parties that have made bids to purchase other NHL teams. Representation of a bidder for the Washington Nationals, which was sold by MLB. Representation of a bidder for the Milwaukee Brewers. Representation of a party that made bids to purchase two NBA teams and operating rights for the teams’ home arenas. Representation of a potential purchaser of a UK soccer team. Representation of a potential purchaser of an interest in an NHL team. Representation of a party in connection with its proposed purchase of an AFL team and an NBA Development League team. Representation of owners of Kansas City Chiefs in purchases and sales of equity interests in the team, along with securing NFL consent for such transfers. Representation of owners of FC Dallas in purchases and sales of equity interests in the team, along with securing MLS consent for such transfers. Representation of a bidder to obtain the Columbus Bluejackets NHL expansion team. Representation of a bidder to purchase the Kansas City Royals. Representation of MLS teams in connection with their youth development activities. Representation of an MLB team in connection with its stadium activities. Bond counsel for the Village of Bridgeview with respect to Toyota Park (Chicago Fire's home stadium), special tax counsel for the Metropolitan Pier and Exposition Authority with respect to the McCormick Place Event Center (future home arena of the DePaul University basketball team), special tax counsel to the University of Illinois for the renovation of its football stadium and underwriters counsel in connection with bonds issued by the University of Illinois for renovation of its basketball arena. Representation of an investor in attempt to sell minority interest in an MLB team. Representation of Aon in connection with PGA and Manchester United sponsorships. Representation of Monster Energy in connection with naming rights for the NASCAR Cup Series. Representation of Stockton Hockey Franchise Group, Inc. in its acquisition of the Atlantic City Boardwalk Bullies ECHL hockey franchise, as well as its relocation of the franchise to Stockton, California. Represented the client in its sale of the Stockton Thunder. Representation of Fresno State in connection with the naming rights deal for its home basketball arena and events center. Representation of Miller Brewing in connection with its sponsorship agreement with the Chicago Bears, pursuant to which Miller became one of the Bears’ select Hall of Fame Sponsors. Representation of NASCAR owners, drivers, race teams, sponsors, filmmakers and manufacturers in sponsorship, licensing, production and manufacturing contracts, driver contracts, sponsorship and other disputes, non-competes, sanctions and general corporate matters, including employment and general business issues.